Occasionally we have something different to frame. This costume doll is an example. Was unusual and deserved putting in the window where it drew many comments especially from the children passing to and from the two infant schools we have nearby in Brynmill. 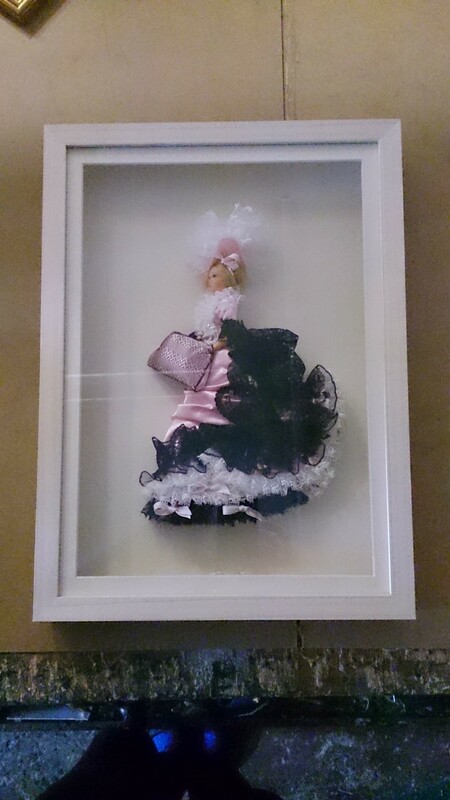 This entry was posted in ART, Picture Framing and tagged Box frame, Costume Doll. Bookmark the permalink.